In Al-Khalil (Hebron) in the Tel Rumeida area, 15-year old Awne Shamsiyeh lives with his family. After the Hebron Agreement (1997), the city was divided into two areas, H1 (supposedly under full Palestinian Authority civil and security control) and H2, (under full Israeli military civil and security control). 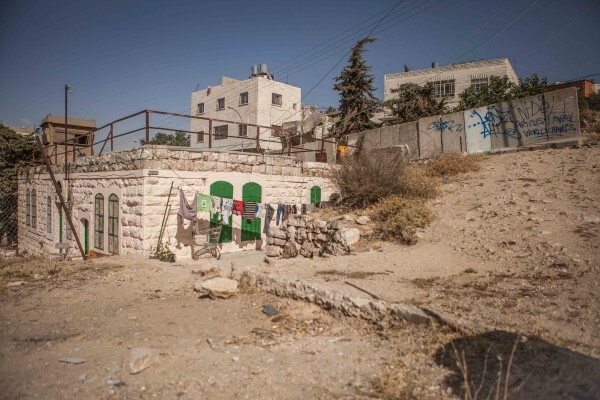 Since 1974, many illegal settlements occupied land in the area now know as H2. Awne is one of the many Palestinians living inside H2, door-to-door with Israeli settlers, checkpoints, army bases, and the Israeli military. Over the years, ISM activists have worked with the Shamsiyeh family and spent time with Awne in Tel Rumeida, who experiences many problems with both settlers and the Israeli military. ISMers met with Awne to interview him, and hear his story of growing up under a military occupation. How would you describe your daily life in H2? Living in H2 in al-Khalil is very difficult. The Israeli army and settlers try to prevent us from living a normal life. They interrupt our lives on a daily basis and make it unsafe for us to live here. I never feel safe in H2. What experiences have you had, living door-to-door with Israeli settlers? In the beginning I didn’t know how to behave around them. Now I’m 15 and have had a lot of experience so I know how to deal with them. I’ve had so many troubles with them (settlers) but I’ve learned from it and know how to fight them. I’ve even learnt Hebrew just from my fights with the settlers and from talking to the Israeli soldiers. I like to look at it in a positive way; I have become more brave and I now know how to control my fear. I can speak Hebrew now and I know how to deal with my oppressors. 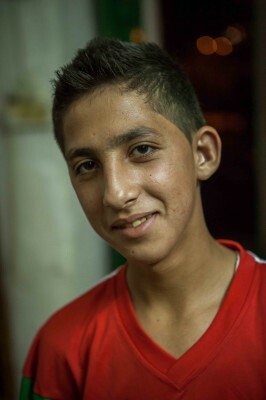 Awne lives with his parents, Emad and Fayzeh, his two sisters, Madlin (16-years old) and Marwa (11-years old), and his two younger brothers, Mohamed (12-years old) and Saleh (9-years old). The roof of the family is often taken over by settlers who want to enjoy the view and harass the family. There is also a military watchtower, which is still occasionally used, on their roof. 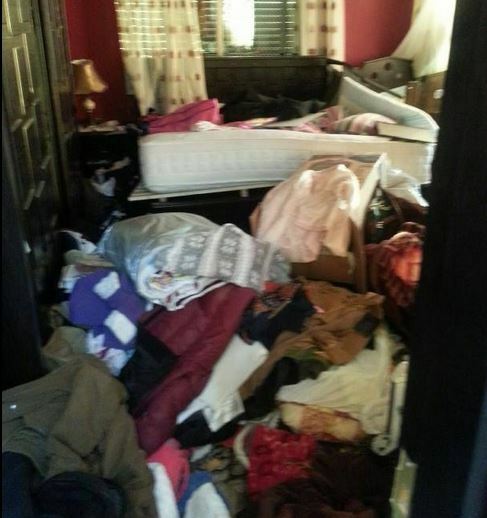 Their house has been locked in by a wall covered in zionist graffiti, leaving only one narrow entrance to the house. Next to the wall there is another watchtower, which means the family is totally exposed and being constantly watched by the Israeli military. What are your personal experiences with the Israeli army and the settlers? I will give you one example. A year ago or something, Israeli settlers went on to the roof belonging to my family to look at the view. My family and I went up to them and told them they were trespassing and that they should leave. They started spitting at us and claimed that our house belonged to them. We said “no this is our house”. The settlers were very aggressive and a fight broke out. The Israeli army came and defended the settlers. The settlers beat me and my father. They beat me unconscious so I don’t remember more. But it’s all on video. The soldiers took me in to an army jeep and drove me to Road 60 where they handed me over to a Palestinian ambulance. They don’t allow Palestinian ambulances in H2, not even in cases of life and death. ISM were present and documented this attack. 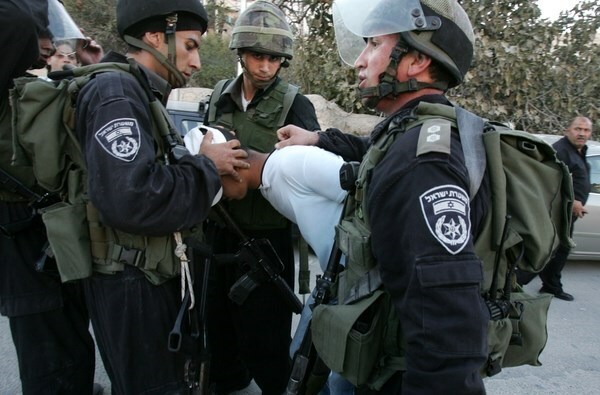 Do you know how many times you have been attacked by settlers, detained by the army and arrested? Fights and troubles with the settlers happen regularly, so I have no idea. The same with detentions, it happens so often, almost every day. I have been arrested four times. The longest arrest lasted for a day in a police station. Usually they take me to the army base and keep me there for some hours. ISM have documented numerous detentions of Awne. I have the dream that the occupation will end and all Palestinians will be free. Also I want to be a mechanic when I’m older. I don’t fear anything but God. Are you afraid that the settlers or Israeli army will attack your family? I was only scared the first time I had a problem with them. Since then I’ve never feared them. If the soldiers or settlers come to my home and make trouble and hurt my family, of course I won’t be silent. I will do anything to prevent the attack, to make it as difficult for them as possible. I will always protect my family. But I am not afraid anymore. This is the life here. You can’t go around being scared all the time. For the Palestinians its like a routine, something almost normal. A few meters from the family home is a checkpoint with one or two soldiers 24 hours a day, leading up to the Tel Rumeida Settlement. The family is often stopped and regularly have their ID checked, even if they are just playing in the street or going to the shop further up the road. What do you do for fun in Tel Rumeida? There is no fun here. There is always a problem with either the settlers or the Israeli army. Even if we just play football they will interrupt. How do you personally resist the Israeli occupation? With my mind! I don’t use violence. If there is a situation with the soldiers or settlers I count to ten and breathe before I react. I use my words to resist, like I told you I’ve learnt Hebrew, so I can talk to them in their language. I also use a camera. The camera is like a weapon, so I can resist non-violently. With video and photos I can expose what is happening here to me and all Palestinians. Just that everywhere I go there seems to be trouble. At the moment I have a summer job in Azaria in Israel, and after I came the army started to raid a lot of Palestinian houses in the village. It’s like the trouble follows me. 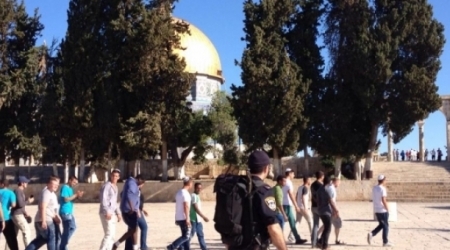 22 Israeli settlers on Sunday morning, guarded by Israeli police, stormed al-Aqsa Mosque via the Moroccans' gate, witnesses said . They added that Palestinian worshipers insisted on staying inside the courtyards to confront the settlers if they tried to break into the place. An Israeli settler, today, decided to graze his cattle on Palestinian-owned crops at Wadi Al-Rakhim in Yatta, to the south of Hebron, according to local activist. Ratib Jabbour, who is a coordinator for the Anti-wall and Settlement Popular Committee, said that a heavily-armed settler from the illegal Susia settlement, to the south of Hebron, raided a vacant house and released his cattle to graze on nearby lands. According to WAFA, the settler made use of the presence of Israeli troops who have been deployed in the area for over two weeks, under the pretext of searching for three missing settlers. Violations and outright attacks, on Palestinians and their property, by Israeli settlers are common throughout Israel and the internationally recognized Palestinian territories, and frequently target both Christian and Muslim holy sites. Such attacks often occur with complicity and even full backing from Israeli forces. Palestinian shepherd detained by Israeli soldiers. Released by a popular struggle action. After asking for explanations to soldiers, a Palestinian member of the Popular Struggle Committee released the hands of the shepherd cutting the handcuffs and allowing him to pray. Palestinians and internationals reiterated to the soldiers the duty to show them the evidences and to consider the shepherd's declaration of innocence and not only the settlers' unfounded accusations. At 3pm the Palestinian detained was free to back home. On June 27th, Israeli soldiers detained a Palestinian shepherd from the South Hebron Hills village of Saddith Thala. He was accused of throwing stones towards a setter’s car, passing on the Bypass road 317. He was released, as there was no evidence to support the charges. A Palestinian shepherd and a group of children were drawing water from a Palestinian owned well nearby the illegal settlement of Carmel. While they were crossing the bypass road 317, settlers saw them and immediately called the Israeli soldiers. When the army arrived, they stopped and detained the only adult in the group of shepherds, and accused him of throwing stones in the direction of the road. At about 2pm, when Palestinians from the South Hebron Hills Popular Resistance Committee and international volunteers arrived, the shepherd was handcuffed by a plastic band and had been waiting an hour in the sun for the police to arrive. After asking for explanations from the soldiers, a Palestinian member of the Popular Struggle Committee released the hands of the shepherd, cutting the handcuffs to allow him to pray. Palestinians and internationals reiterated to the soldiers their duty to show evidence and to consider the shepherd’s declaration of innocence and not only the settlers’ unfounded accusations. At 3pm the detained Palestinian was release and free to go back home. The well from which the children were drawing water, lies between the illegal settlement of Carmel and Ma’on, This an area where the Palestinian population are constantly subjected to harassment, acts which prevent them from accessing their own land. Israel is trying to "cover up" its failure to locate three missing Israeli youths by announcing names of suspects they believe are involved, Hamas said Friday. Spokesman Sami Abu Zuhri said that Israel is in a state of "confusion" and is trying to detract from its failure to make progress in finding the youths by naming suspects. 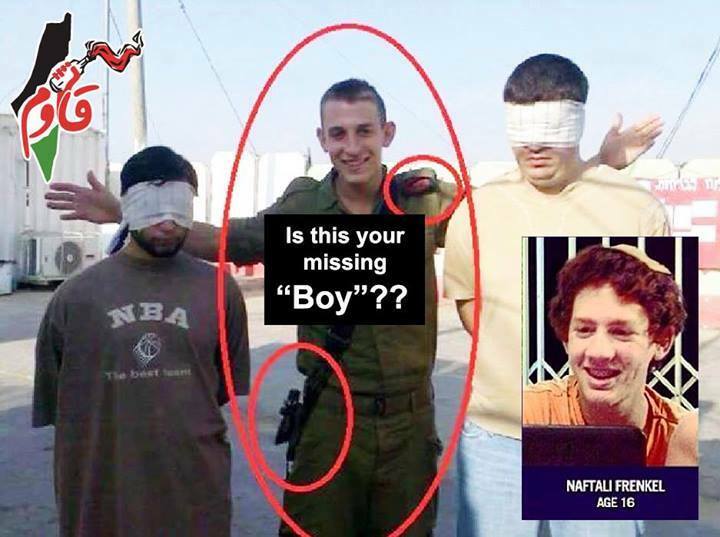 On Thursday, Israel named Marwan al-Qawasmeh, 29, and Amer Abu Eisha, 33, as the two main suspects behind the kidnapping of three Israeli youths on June 12. Israel's Shin Bet said they had been jailed in the past for taking part in "terrorist activity on behalf of Hamas." Speaking to Ma'an, Abu Eisha's father denied the allegations and said the family is worried that he has been detained and is being tortured by Israeli security forces. Hamas Movement said Israel’s announcing of names of suspects it believes involved in the June 12 kidnapping of three Israeli teens signifies its confusion. The Islamic movement spokesman Sami Abu Zuhri said Friday in a press statement that the [Israeli] occupation is trying to cover up its failure to locate the three missing Israeli teens by naming alleged ‘kidnappers’. Israeli authorities on Thursday accused two West Bank Palestinians as suspects in the kidnapping of three Israeli teenagers two weeks ago, AFP reported. The two alleged kidnappers, Marwan al-Qawasmeh, 29, and Amer Abu Eisha, 33, are both Hebron Hamas members and have been missing ever since the kidnapping took place on the night of June 12, the agency added. The father of one of the suspects named by Israel as being behind the disappearance of three Israeli youths has denied that his son was involved in the suspected kidnapping. Speaking to Ma'an, Abu Eisha's father denied the allegations and said the family is worried that that he has been detained and is being tortured by Israeli security forces. "The occupation kidnapped my son Amer and I'm afraid they will kill him and say that they killed the terrorist and saved the settlers," Omar Abu Eisha said. "I have not yet grasped that Amer and Marwan could kidnap three settlers from the most dangerous security square in Etzion. These are Israeli fabrications, whose goal could be is to strike Hamas in the West Bank and strike the national reconciliation," he added. Omar Abu Eisha said that he was with his son Amer at a social event the night the three Israelis went missing, but said that later on in the night he could not find his son and he has been missing ever since. "He told his wife that he might be away for two days for work in al-Eizariya, but he has not called and I am certain that Israel has kidnapped and hid him," he said. Omar Abu Eisha told Ma'an that his son was "working hard and saving money" to build a new house. The family of Marwan al-Qawasmeh refused to be interviewed or comment on the Israeli accusations. Eisha was first arrested in Nov. 2005 and was held without trial or charge by Israeli forces until June 2006. He was re-arrested in April 2007 for a short period of time. Eisha's brother was shot dead by Israeli forces in Nov. 2005 while ostensibly trying to "throw an explosive" at them, and his father had been arrested by Israel multiple times. After the Israeli teens disappeared while hitchhiking in the West Bank, the army launched a vast hunt for them focusing on the Hebron area. Israeli fanatic wrote, on Friday at dawn, several anti-Arab, racist graffiti, on the walls of a local school in Be’er as-Sabe’ (Beersheba), in addition to graffiti against Arab member of Knesset, Hanin Zoaby, describing her as a “Nazi”. Israeli police spokesperson for Arab Media, Luba Samri, said “hostile and degrading” graffiti, written in Hebrew, was located on the walls of a local school, the Maan News Agency has reported. The graffiti includes “Price Tag”, “Death To Arabs”, “Hanin Zoaby is a Nazi”, in addition to other graffiti such as “bring our boys back”. According to Samri, the police opened an investigation into the issue. On Wednesday, Price Tag graffiti was found on the retaining walls, surrounding the Ma’ale Adumim settlement, southeast of occupied Jerusalem. The graffiti also included “Death to Arabs”, in addition to “Get Out Arabs”, “Kahane Was Right”, and “The Soldiers Of David’s Home”. Hundreds of price tag attacks have been carried out against the Palestinians, their lands and property, in addition to Islamic and Christian holy sites and graveyards. 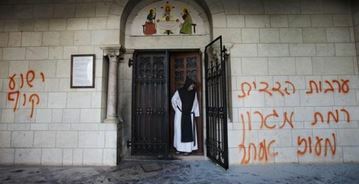 Some of the graffiti contained direct insults to Jesus Christ and Prophet Mohammad. The attacks also included burning, and trying to burn, churches and mosques, in addition to damaging Palestinian cars and puncturing their tires. 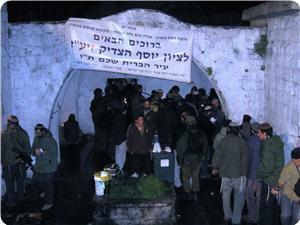 Hundreds of Israeli settlers stormed Joseph's tomb to the east of Nablus city on Thursday night to perform Talmudic rituals amid heavy Israeli military protection. Local sources revealed that violent clashes erupted when Israeli forces stormed the area to provide protection for the settlers who came in large numbers. The sources said Palestinian young men threw stones at the soldiers and settlers during their presence in the area. Meanwhile, the invading troops erected a number of military checkpoints at the city's entrances and on the roads near the mausoleum, the sources added. Jews claim that the remains of Prophet Yusuf (Joseph) were buried in the tomb east of Nablus. Palestinians and historians, however, insist that it is the tomb of a Muslim scholar called Yusuf Dweekat. Archaeologists have confirmed that the tomb is not old enough to support the claim that it is Prophet Yusuf’s, dating it back just a few hundred years. A number of fanatic Israeli settlers, and soldiers, stormed late on Thursday at night a number of homes belong to members of the al-Ja’bary family in the southern West Bank city of Hebron, wounding several Palestinians, including children, and kidnapping ten. Local sources said the invaders stormed homes in the al-Ras neighborhood, in the center of Hebron city, and assaulted the families. Medical sources said several children were among the wounded, and that all injured Palestinians have been moved to the Hebron Governmental Hospital, suffering mild-to-moderate injuries. Resident Bassam al-Ja’bary told the Maan News Agency that dozens of settlers, accompanied by a large number of Israeli soldiers, stormed the homes, and assaulted the families. He added that the soldiers were holding knives, waving them close to the children, and threatened for kill them. When the family tried to stop them, the army kidnapped approximately ten Palestinians. Hoda Bassam al-Ja’bary - suffered a cut in her arm by a soldier carrying an army knife, Noura Fahd al-Ja’bary, Dalal Mohammad al-Ja’bary, Thareefa Mohammad al-Ja’bary, Eid Bassam al-Ja’bary, Morad Mohammad Fahd al-Ja’bary, Nasser Fahd al-Ja’bary, Rami Mohammad Sa’id al-Ja’bary; most of them are children. Bassam identified some of the kidnapped Palestinians as Fahd Nasser al-Ja’bary, Fares Nasser al-Ja’bary, Tha’er Nasser al-Ja’bary, Makroom Nasser al-Ja’bary, and Radi Bassam al-Ja’bary. He said the soldiers assaulted the kidnapped family members, taking them prisoner while they were still bleeding. Israeli settlers accompanied by soldiers early Friday raided a Palestinian home in Hebron and assaulted ten members of a family, who were mostly children, before soldiers detained ten other individuals from the house. Settlers from the Kiryat Arba settlement near Hebron attacked houses belonging to the al-Jaabari family in al-Ras neighborhood of central Hebron while they were escorted by a large number of soldiers. The family told Ma'an that "soldiers tried to kill the innocent children with a dagger, and when the family fought back they detained some of them." The injured were taken to Hebron Public Hospital in ambulances and private cars. Most of the those wounded in the assault were children. Among the 10 individuals were: Huda Bassam al-Jaabari, Noura Fahd al-Jaabari, Dalal Muhammad al-Jaabari, Tharifa Muhammad al-Jaabari, Eid Bassam al-Jaabari, Murad Muhammad Fahd al-Jaabari, Nasser Fahd al-Jaabari and Rami Muhammad Said al-Jaabari. Their injuries were reported as light and moderate. Israeli forces also detained 10 individuals from the family during the assault, including: Fahd Nasser al-Jaabari, Fares Nasser al-Jaabari, Thair Nasser al-Jaabari, Makroum Nasser al-Jaabari and Radi Bassam al-Jaabari. An Israeli army spokeswoman said that a "clash" had ocurred between the settlers and Palestinians in which "mutual rock-hurling took place." She added that when Israeli soldiers arrived to "disperse the riot, Palestinians started throwing rocks and tried to seize their weapons." She said that two soldiers were injured by Palestinians, while eight Palestinians were detained by the soldiers in the course of the riot. No Israeli settlers were detained, however. 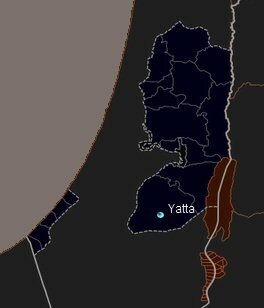 The Jaabari family lives on land directly beside the Jewish settlement areas of Kiryat Arba and Givat Haavot. The family used to live in the area of Givat Haavot, before they were evicted in order to make way for the Jewish-only settlement. The family is regularly subjected to harassment by local settlers who seek to expand areas under their control, and the army has rarely acted on family complaints about the incidents.